Instead of sinking tens of thousands of dollars into a complete kitchen remodel, consider refacing or refinishing the cabinets and fixtures you already have. How? Find out here! 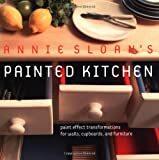 If you were to believe the kitchen decorating and remodeling magazines, you'd think that everyone has tens of thousands of dollars available to tear out their old kitchen cabinets and replace them with new ones. You'd think that there were no consequences to throwing "away" all this stuff. If you have a more normal budget, or if you want to "go green" and keep as much stuff as possible out of the landfill, then kitchen refacing or refinishing may be a good option for you - and you'll find plenty of information here about those and about replacing the doors on your existing kitchen cabinets. If your cabinets are sturdy and still in good shape structurally, and if the layout of your kitchen and the placement of the cabinets still suits you, then this is a great way to go. Even if you want to change layouts, it may be possible to move your cabinets around, add some, and end up with a greatly improved kitchen floor plan for much less cash than ripping out and buying new. In today's economy, people are constantly looking for easy and above all inexpensive ways to improve their most costly possession: their home. The space where these cost-effective improvements are most necessary is in the kitchen. The kitchen is the heart of the home and where many of us spend a lot of time. It's the place where we make memories, cooking with family, enjoying our morning coffee, and entertaining friends. Consequently, it would be great if it were also our home's showplace. Everyone wants their kitchen to not only be functional, but also attractive. Since it is also the greatest selling point of a house, and so many of us find ourselves having to move (often whether we want to or not), it is vital that we keep our kitchens updated and fashionable. Doing so will allow us to get the most value for our homes when we need to sell. But how do we get that new, updated look without going over budget? Renovating your kitchen can often be a daunting assignment. The materials and labor cost for total kitchen replacement are expensive and out of reach for most. The task can take months and often can lead to more hassles than you bargained for. However, by choosing to update a few key features rather than do a total renovation, you can add the most bang for your buck while still getting a fresh look. While flooring, counter-tops, and appliances may be too expensive to replace if you want the latest granite-and-stainless-steel look, you can still spruce up your kitchen and add value to your home with a great remodeling alternative: kitchen refacing. Your cabinets make up 40-50% of your kitchen's total value and are definitely the most noticeable attribute of the room. By refacing your kitchen cabinets instead of buying and installing new cabinets, you can potentially save thousands of dollars while still updating and revitalizing your space. Most decent quality kitchen cabinets are excellent candidates for kitchen cabinet refacing. It is a simple and easy way to utilize and recycle what you already have in your home, while showcasing the most noted feature of the kitchen. All it takes is choosing a new style and color for your cabinet boxes, cabinet doors, drawer fronts and pulls. These new facings are then added to your existing cabinet bases to create a brand new look. 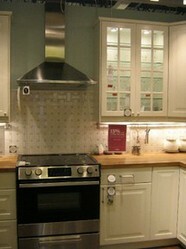 And if you are looking for a green alternative to new construction, refacing kitchen cabinets is one excellent solution. By avoiding the task of having to purchase new cabinets, you save the cost and environmental constraints of construction, delivery, and installation. And by giving your old cabinets a new lease on life, you'll get the look and feel of a brand new kitchen without adding to your carbon footprint, and without adding to our already full landfills. Imagine the luxury of having a brand new kitchen in just one weekend! If the financial savings weren't reason enough, refacing cabinets takes substantially less time and effort than installing brand new cabinets, and can often be completed by a professional in just a day or two. If you are a DIY weekend warrior, refacing kitchen cabinets is a great way to roll up your sleeves and add some sweat equity to your home. So when you're flipping through those design magazines for inspiration, imagine all you'll save by refacing your kitchen cabinets, and picture being able to add even more to your dream kitchen without going over budget! Kitchen Cabinets: Doors Can be Changed! When walking into your kitchen, the cabinets immediately greet you at eye-level, setting the tone for the room. It's the first thing a person notices when they walk in, so it's important to keep your kitchen cabinets doors up to date. Additionally, in most kitchens, there is more cabinet surface than there is visible wall, so the effect of the color or style of the cabinets is as important as the color of the paint in another room. If your cabinets are looking a bit dingy or outdated, or simply no longer match the theme of the kitchen, it may be time for replacement kitchen doors. Replacing the kitchen cabinets doors is much less expensive than replacing the cabinets themselves, and a more dramatic change than replacing an appliance, but where do you start? First, think about the theme of your kitchen. Is it a modern, open design? If so, there are clear glass, or brushed metallic doors available for purchase. Clear doors are especially eye-catching, and serve the dual purpose of showing off decorative items and collections. If your kitchen has a more homey tone, traditional wooden doors may be the way to go. If your countertop is wooden, matching the kitchen cupboard doors will bring the room together. If you don't feel confident matching the tones, many stores will send a consultant to your house to make a recommendation. Another option would be to ask for a sample of the wood to compare it yourself at home. Make sure to ask how it it likely to weather or change color over time. If your kitchen needs a burst of color, don't be afraid to buy a colored laminate or painted wood set of doors. Another option, if you cannot find the exact color you want, is to buy unfinished doors and paint them yourself.. The seller will be able to recommend paints which are safe and stable for the material of the doors. Warm pastel colors are traditional for a kitchen and will give off that 70's homey look, but there are options outside the norm, such as bright reds and greens. Coming into fashion lately has been the red, black, and white kitchen theme. Many appliances now come in deep reds, as do plates and glasses. A red cabinet door on a black or white cabinet, with black or white contrasting dishes can be quite statement-making. If you redo your kitchen cabinet doors, you'll want to redo the drawer fronts to match. Redoing one without the other can make the old drawers look dirty or outdated by comparison, and take away from the beauty that you worked to achieve. This doesn't mean that they must be exactly the same. For example, if you choose to go with golds and browns, the cabinets could be a light gold and the drawers a darker tan. In the red and black theme, alternating the colors gives a checkered effect which is lovely, especially if the kitchen tile is also checkered. Products can be found either at specialty stores, online shops, or at general home stores. A specialty store will be most likely to help you in matching woods, or on a custom order. A large home store will allow you to see many designs all in one place, helping you to decide on a style. Both types of store often offer installation by a professional. Online there may be the lowest prices, but installation may be do-it-yourself, or there may be delivery charges. There will also be the widest selection online. Kitchen cabinets are often one of the first fixtures to require attention, however replacing the entire cabinet unit can be very costly and time consuming. An alternative to complete cabinet replacement is to simply install replacement cabinet doors to your existing cabinets. Whether you choose to replace a portion of the cabinet doors, or give your kitchen a complete makeover, you will be surprised at the difference this one change will make both to the look of your kitchen and to your pocketbook. You can buy doors separately to reface your kitchen! Have you refinished or refaced your kitchen cabinets? The kitchen of your dreams is within your budget. Below are 10 Ways To Remodel Your Kitchen on a Budget. When most people think of custom cabinetry they often think of kitchens. Custom cabinetry, however, has a multitude of applications throughout a home.